As many of you know, I’ve been busy working on my stop-motion video of Romeo and Juliet. Momoko™, the doll pictured here, will be playing Juliet in that production, and this is the dress she wears on her wedding day in my video. 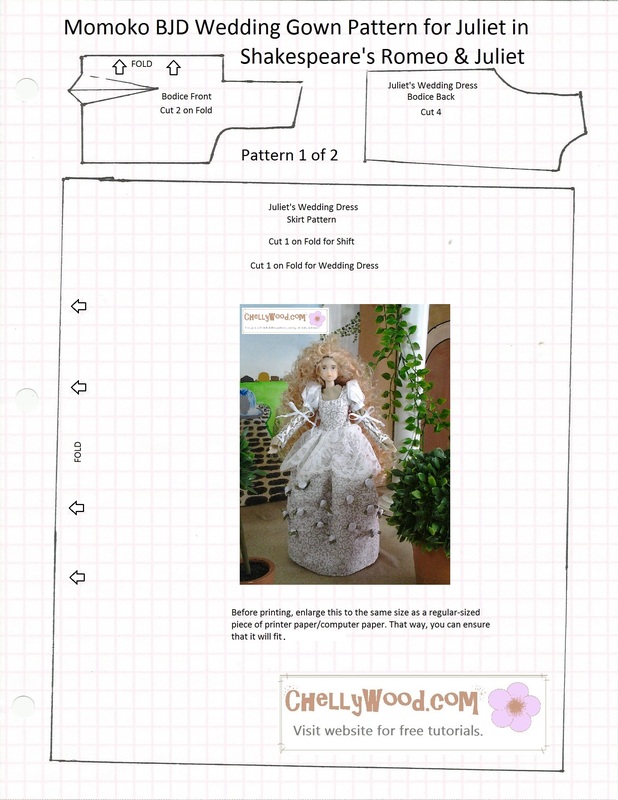 I’m told Momoko’s™ body is the same size as Pullip™ dolls and Blythe™ dolls, so it’s possible this wedding dress pattern could be used for them as well. 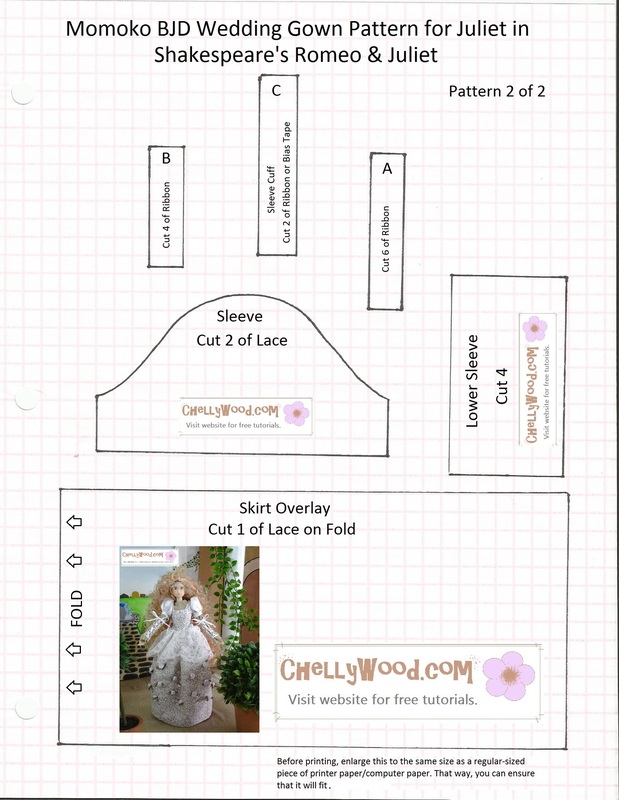 If you’d like to learn more about Momoko™, check out the various links I’ve provided in this post. They range from Momoko™ on Ebay to the MomokoDoll™ website itself.